Tavarua is the world’s longest lived and most famous surf resort for very good reasons. Built from the outset to support local communities, respect Fijian culture, protect the environment, and provide elite surf guiding services and safety protocols, Tavarua delivers sustainability along with a surf travel experience that is unique in the world. Since its opening in the early 1980’s, Tavarua has had virtually zero staff turnover, the staff love their jobs and you are invited into their family for a very special experience. The world’s best surfers and Hollywood celebrities have been bringing their families here for years to experience Tavarua’s rustic island charm. Home to the WSL Championship Tour in June, with the closest access in Fiji to two of the world’s best left handers, an additional three right handers nearby, and perhaps the best learning waves in the south pacific right out front, Tavarua is an iconic destination resort that doesn’t disappoint. With huge rainwater harvesting capacity, a state of the art low-tech wastewater treatment facility, meaningful cultural interpretation, a commitment to ensure all solid waste is avoided, reused, recycled, and the remainder safely disposed of at a properly managed landfill means that you can experience all this knowing that you are having a net positive impact on the local environment and the people who live there. Tavarua is pending recertification in 2019. 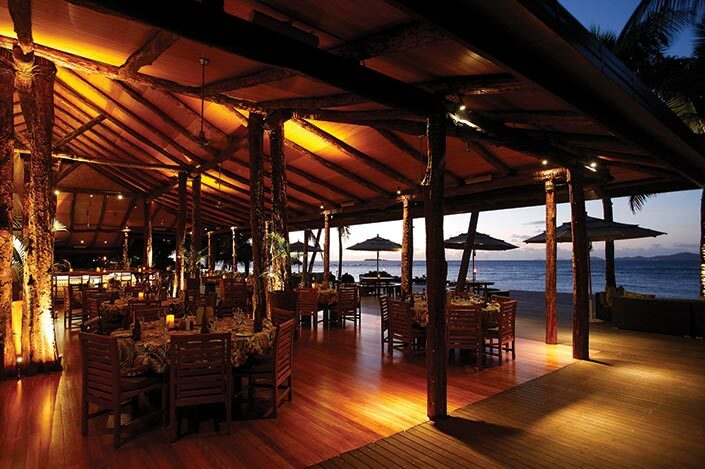 Tavarua management utilized the STOKE Sustainability Management System Template to create their own comprehensive set of policies and procedures for their sustainability initiatives. The SMS is the sustainability equivalent of your tide chart, barometric map, and oceanic buoy readings all rolled into one. It guides all management practices, staff training, surf guiding, sustainability goals and implementation strategies. This is their go-to document and your guarantee for an epic surf trip. Being isolated on a heart shaped island has its benefits of course, but it also challenges Tavarua to be creative with their resources. Their latest endeavor included redoing their famous restaurant where you can drink a Vonu while drooling over the aptly named world class left, Restaurants. All of the restaurant’s walls utilize reclaimed wood from their pool deck renovations. In addition, all of the bures utilize passive solar design to take advantage of natural ventilation and shading to keep you cool after a three hour Cloudbreak session. Besides maintaining strong communication lines with community stakeholders and suppliers about the resort’s sustainability roadmap for the future, Tavarua also goes to great lengths to give you the forecast. Management aligned with STOKE and community members to create the guest books in each of the bures. You can learn everything about the history of the island, Fijian culture, local flora and fauna, and of course, each surf break before you paddle out. Surfers have been coming to Tavarua for decades, and it’s these surf trips that support local businesses and enable resort management to enhance the livelihoods of the Fijian people in nearby villages. 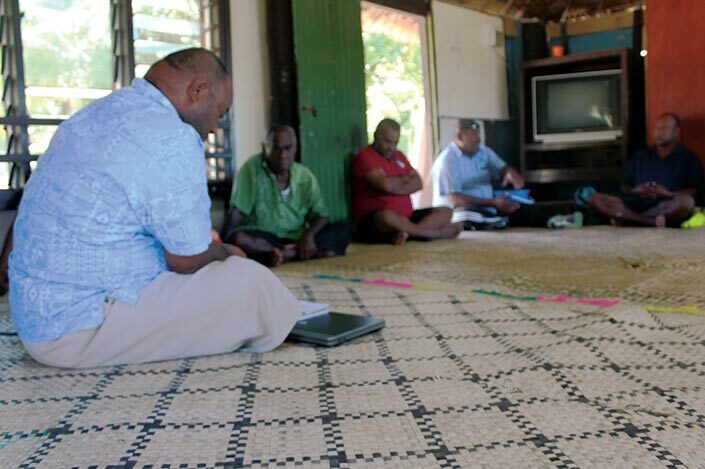 Over the years, Tavarua has built 44 homes in Momi and Nabila villages with toilets, running water, and electricity; two schools with ongoing support; three churches; a police station; and two community centers. With all this in mind, you can surf easy knowing your quest for barrels has led to a better quality of life for the people who make your trip special. With the exception of the directors and the GM who holds a Fijian passport, all other staff, including senior management and all department heads, are Fijian. Tavarua provides staff housing on the island and daily transport for employees and their families along with insurance benefits that go way above minimum legal requirements. All staff's medical care is covered including international trips for life saving procedures when necessary. 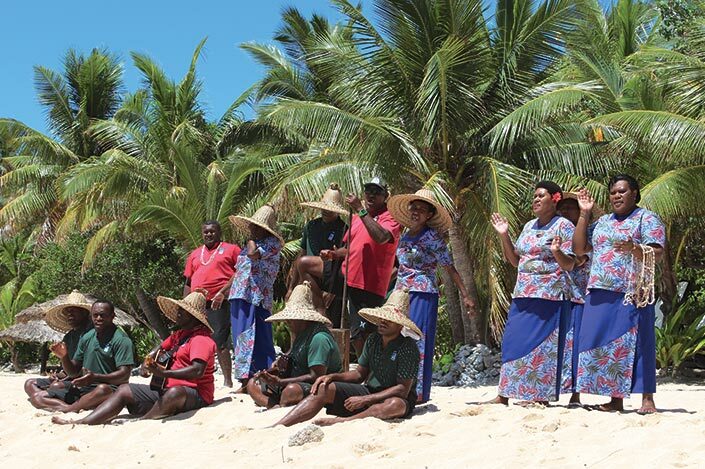 Fijians are the nicest people in the world and when you visit, you’ll come to know them and love them as family just as Tavarua’s founders did over 30 years ago. Beyond the aforementioned infrastructure improvements to neighboring villages, Tavarua provides other benefits to their local communities. Guests from Australia come two to three times a year to perform dental work for staff and nearby villages while Tavarua hosts national medical conferences. 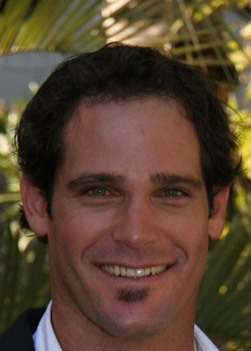 A proportion of community funds are given to local rugby, soccer, and netball teams as well as the Fijian Surfing Association. 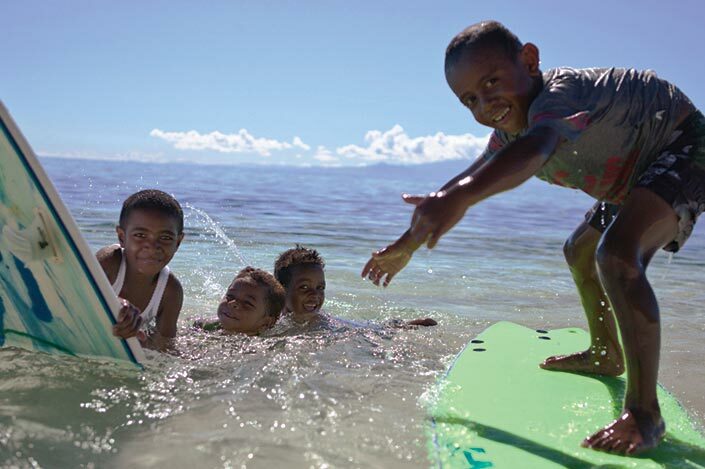 Tavarua has also created the Surfers Medical Association Fund to put local students through medical school in addition to the primary and secondary scholarships that cover transportation, school supplies, and uniforms for the local children. Nobody likes being dropped in on without any warning. 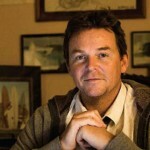 The same goes for local cultures in surf tourism destinations. They need some input into how visitors behave in their home and should have the right of prior informed consent to tourism developments. Well, Tavarua is a best practice leader in this regard. In order to minimize visitor impact and maximize enjoyment, STOKE and Tavarua worked with the resident cultural expert to develop a code of conduct for guest visits to culturally or historically sensitive sites. This way, you’ll know how to behave respectfully both verbally and nonverbally within the specific cultural context (e.g. presenting a gift to the chief or accepting kava). Not only does Tavarua have access to the best waves in the world, but they also provide authentic Fijian experiences as this culture is woven into every part of the guest experience. 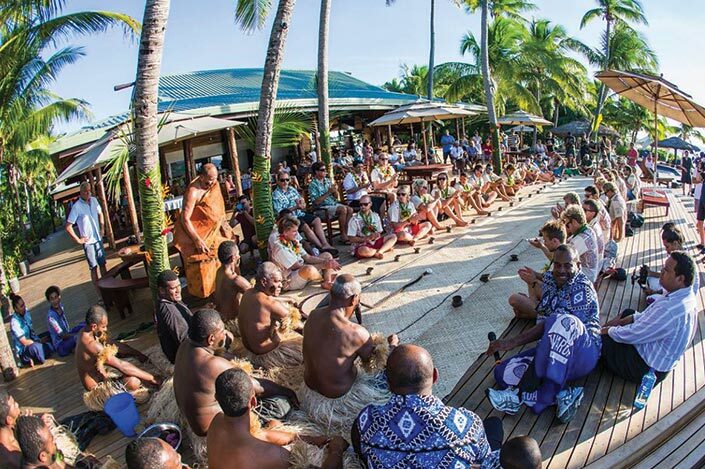 From the uniforms, meals, and gift shop, to the architecture, decor, and sevu sevu ceremony, you will be completely immersed in Fijian culture from the moment you step on the island. 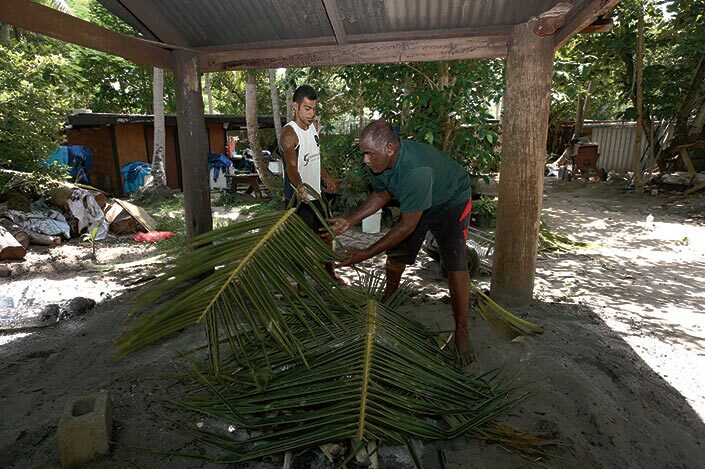 Our favorite event is Fiji Night, which features a traditional lovo (underground bbq) where guests can observe the process of preparing, burying, and cooking seafood, pig, kokonda, dalo chips, palusami, local wild spinach dishes, and any other local ingredients available that day. Sacred cultural, historical, and archaeological sites provide a unique aspect to your surf trip by framing the history and culture that defines the region. You hate it when kooks come and blow up your favorite surf spot, so don’t do the same to a local community’s sacred site. Tavarua regulates visitation to these sites with monitored preservation and enhancement programs to ensure these rich cultural experiences will be enjoyed for generations to come. 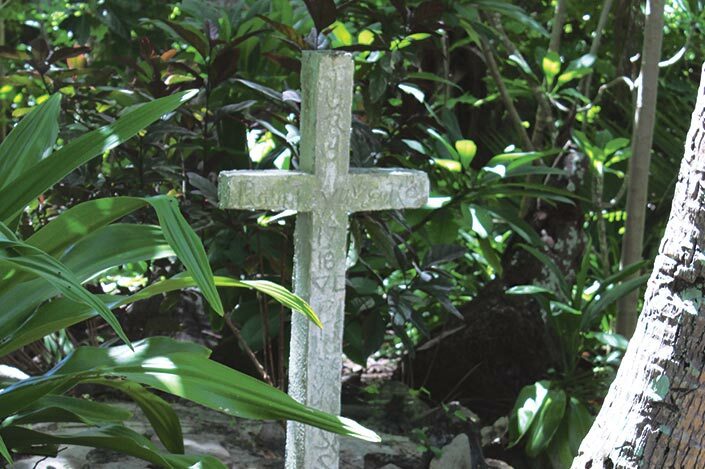 If you’re unable to venture off the island during your stay because the waves are pumping nonstop, you can ask a staff member to show you Ratu Kini’s grave site and explain the history of the island. Don’t listen to the ghost stories! Even though we spend our days immersed in water, many surfing destinations struggle to maintain a quality water supply. Tavarua takes water consumption seriously for this very reason. Water use is measured at each rainwater tank and minimized wherever possible with water efficient fixtures even though they have over two million liters of rainwater storage—dry spells can last for months. To supplement the dry season, a small desal plant is pulling from a 380ft well on the island instead of putting pipes into the ocean which can threaten marine life like traditional desalination plants. 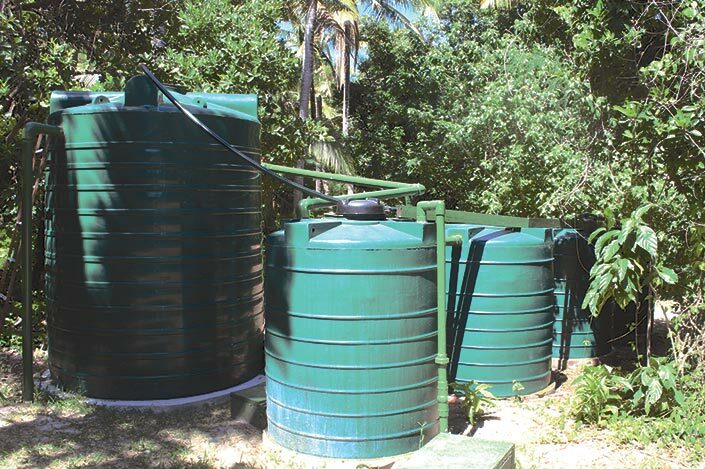 Rainwater is double filtered and UV sterilized with the filters being changed at least once per month and the University of the South Pacific performs water quality testing annually. Tavarua encourages guests to drink their version of ‘Fiji water’ by using refillable containers such as their Mizu water bottles instead of single-use plastic bottles. With waves like Cloudbreak and Restaurants in their back and front yards respectively, Tavarua does everything in its power to protect and enhance their local coral reefs. Moorings have been installed at the local breaks by Tavarua for all surf tourism operators to use to mitigate impacts from dropping anchors by other boats. Contributions are made to the Mamanuca Environment Society for the overall protection of the environment and wildlife in the area who also test the health of these reefs and release their reports publically. In kind support is given on a regular basis to projects such as the release of Fijian Seahorses, marine biology research, and coral planting. Tavarua is committed to preserving these world class breaks for the next generation to get barreled. 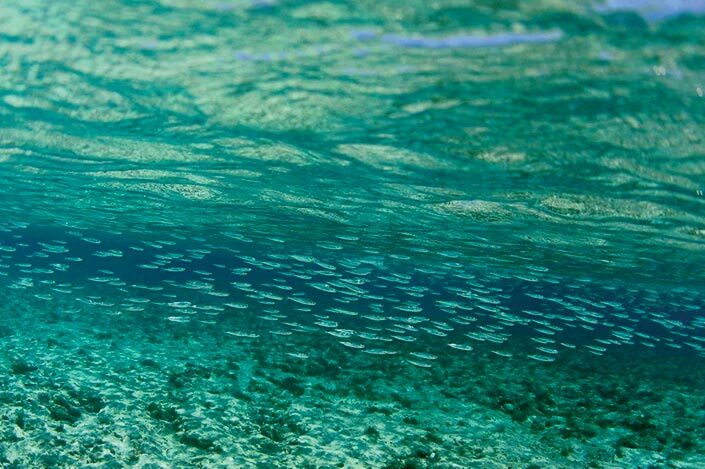 Tavarua has invested heavily in a state of the art wastewater treatment and greywater recycling system to ensure there are no impacts on local water quality or coral reefs. Their already state of the art Aerobic Sand Filter wastewater treatment plant (first in Fiji), now has the latest For Earth biotreatment technology to further improve the quality and reusability of treated greywater in the different landscaped areas around the island. 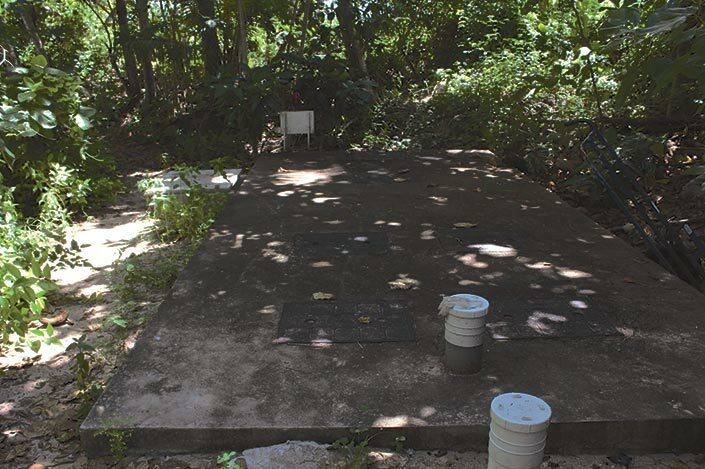 This final product is tested biannually in house, and quarterly tests are conducted of the ocean water around the island by the Mamanuca Environment Society. Tavarua is a world renowned surf resort because of our unparalleled access to iconic waves as well as our legacy in surfing’s culture. 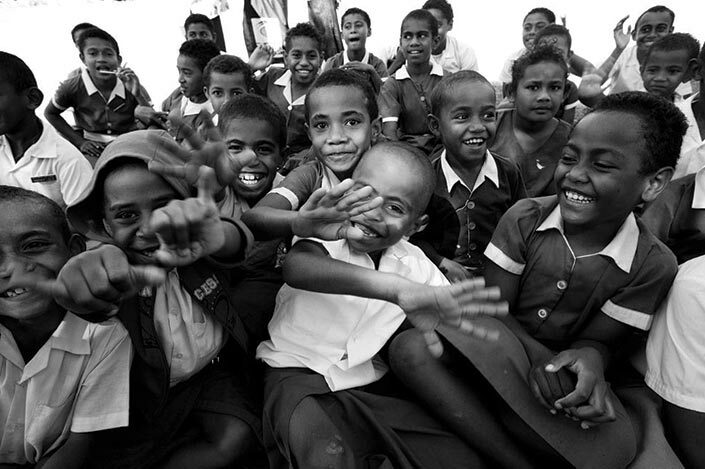 We are particularly proud of the work we have done over the years with our Fijian partner communities. Relationships with our Fijian family are the most important part of our business. Keeping this as a core principle has been key to our success and to the unique Tavarua guest experience our staff provide. Develop and implement an interpretive tour that educates our guests about the resort’s sustainability initiatives as well as the island’s history and environment. Invest in renewable energy on site, beginning with solar water heating. In the meantime will continue to purchase carbon offsets until we are able to balance our carbon production/sink equation locally. We are the in the middle of transitioning to four stroke engines which are far more efficient and much less polluting. Our first 4 stroke powered boat will be in service by the end of June 2015. Continue to work with the MES on local water quality monitoring, and support local moves to develop no-take marine protected areas in areas of the Mamanuca Group of Islands. Work on an ongoing basis with STOKE Certified to improve our sustainability performance across the board and ultimately achieve Best Practice designation. The STOKE Certified program has been super helpful in taking a methodical, structured, and comprehensive view of our sustainability approach and helping us re-work it in the most cost effective yet impactful manner possible. We invite other surf resort operators to take a look at STOKE and see how they can help you overhaul and or implement sustainability initiatives for better outcomes for everyone.